Camberwell’s natural landscape is in two distinct parts with Church Street acting as a division: an area of higher ground, including Denmark Hill, to the south, and a plain extending to Walworth to the north. These geographical differences have greatly influenced the area’s development. Perhaps unexpectedly, the earliest development came in the hilly south. 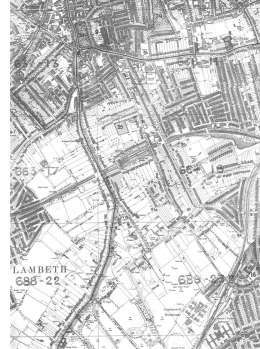 In the late 18th century wealthy business men and professionals were attracted by Camberwell’s fresh air, clean water supply (one of the numerous wells is alluded to in the place name) and relative proximity to London. 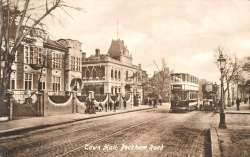 Grand mansions such as what became Bessemer House on Denmark Hill and Dr Lettsom’s estate at the top of Camberwell Grove were built. This type of development was also encouraged by the opening up of Camberwell Grove as a pubic road - previously it had been a private tree-lined road. 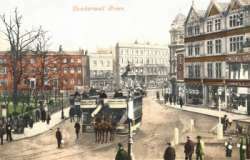 The development to the north of Church Street was of a very different order, stimulated by the growth of London’s working class population in the mid-19th century and the coming of horse trams in the 1870s. The area was also surprisingly industrial, especially along the Grand Surrey Canal, where timber yards and mineral water works were a common feature. 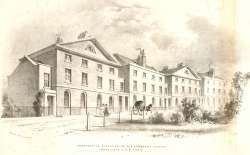 In the later 19th century most development was infill in the southern area, some on land such as at the top of Grove Lane, the site of many large houses and landed estates. The one exception was in Champion Hill; there large houses continued to be built, most notably the Platanes a great mansion built by the merchant banker Kleinwort-Benson. 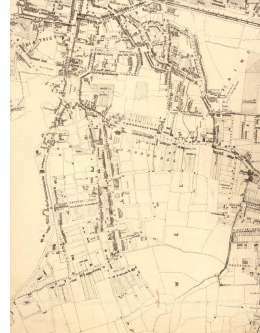 The first map, dated 1842, shows that development of the desirable Camberwell Grove and Grove Lane and the exclusive Denmark Hill and Champion Hill is well underway. Little of the working class area north of Camberwell Green has been completed. Click on the map for a larger view, or click here for a readable view (slower download). The most striking feature of the second map, dated 1891, is the gardens: both the detail in which they are shown on the map and their size. The more exclusive developments along Camberwell Grove, Grove Lane, Champion Hill and Denmark Hill are more or less complete, while much of the eastern portion shows open fields awaiting development. The railway has now made an appearance. Click on the map for a larger view, or click here for a larger view (slower download). 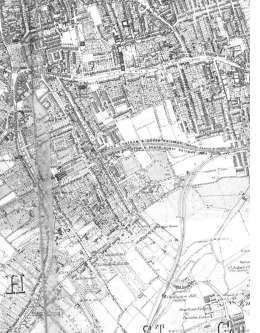 The final map, dated 1894, shows many aspects of urban and suburban development along Camberwell Grove and Grove Lane, and on a bigger scale the huge detached houses on Denmark Hill and Champion Hill.